The soverign's words did not fall upon deaf ears. They rung loud and clear within his mind as he mulled over his inner most thoughts. Perhaps if he had not pushed Caelian so hard he wouldn't have been banished and perhaps they could have worked something out. But it was all in the past now, and there was nothing he could do about it. Regardless, he offered the departing herculean woman a minor nod of his head. They would certainly need to talk at a later date. 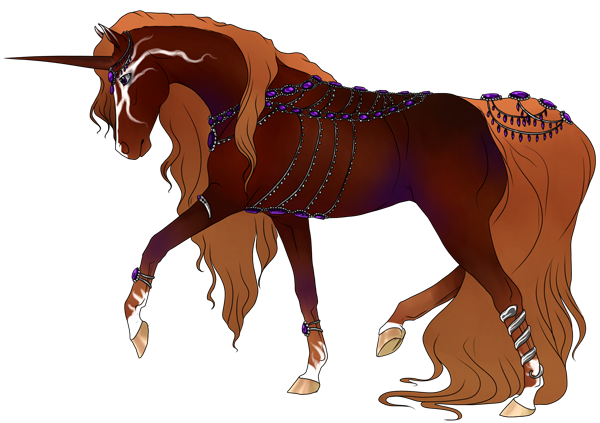 But for now he was willing to devote all of his attention to none other than and amber and amethyst painted mare standing so protectively at his side. The gentle kiss she planted upon his cheek warranted a soft smile to touch those fanged lips of his. Of course. It was not until she looked beyond his shoulder and all around commenting of the nosy onlookers that he noticed they gathered quiet the audience. Come. I knowest just the place. He whispered whilst moving to stand once more. Briefly he leaned forward to touch the end of his maw to her cheek but found himself lingering there. It was almost as if he could not believe they were here together, after so much time had passed. Pulling away the raven extended a single tattered, feathered wing. Draping it across the length of her back and the rest of her hide he hoped to stave off the biting cold as he began walking in the direction of Fell. For a time he simply moved in silence, enjoying being by her side and listening to the sound of snow crunching underneath their weight. Truthfully, he was trying to think of a way to properly condense his series of misadventures. A soft sigh billowed out of his pinched nares, manifesting itself in the form of steely brume. Finally, Nevermore parted his jaws to speak in a soft tone. The day of my exile the guards tied and bound me up. I asked to speak with Caelian, they denied me that right. From then on I was dragged and periodically abused until reaching what they called the point of no return. He recalled the feeling of burning sand stinging his skin as he watched them leave him behind. The corners of his lips pulled into a unique frown, as he seemed to wrestle away an intruding memory. I knowest not how long I laid there. Yea, someone did eventually come. Thankfully someone I knew... The raven murmured as he turned his attention toward the mare, deciding to spare her the details of his emotional break down. I was untied, and greeted by several other exilers that were more or less welcoming. Though I was warned to keepest thine distance of others just in case. The following months were difficult, food was scarce and the weather harsh. As they came to a natural fork he guided the both of them left. The crashing waterfall of Fell was a welcomed sight despite the downed trees and disaster surrounding. His purple eyes took in the devastation that happened to lay waste to much of ambrosious. It was a miracle Eibhlin escaped unscathed, or at least from what he could tell. Nevermore then let eyes skim over her as they walked ever closer toward the falls. But enough of me. How were you? What happened here, and more importantly are you okay? The once regent asked, rapid firing questions he longed to hear the answers to. Within a couple of steps he carefully scaled the rocky outcropping until he could slip just behind a gap behind the falls. The space opened up to a vast hollow cave that still held all of his things, fine silks from the ambrosius ball and various furs and pelts gifted to him during his time of regent. Laying upon the bed of pelage he nodded for Eibhlin to join him. You must tell me everything. It surprises her how much she enjoys the caressing weight of his pitch wings, and it is not simply the way it blocks some of winter’s chill. No, she finds it comforting and relishes in the simple act of affection with a gentle smile. They walk for a while, the beauty of winter’s harshness their only entertainment until finally the raven-man speaks. Chestnut audits swivel to capture the words marred by a fanged frown. Her own lips twist into a scowl as Nevermore describes his treatment at the hands of Caelian’s guards and disgust warps painted features further. ”How dare he permit such treatment.” The words are spit out in a loathsome tone, her disdain for the former boy-king obvious. She silences the rest of the searing speech she is ready to launch, committing herself to hearing the rest of his tale before disparaging Caelian further. Someone he knew? The tiny spear of jealousy gives her pause and she dismisses the selfish thought a few moments later. Her desire for him far too new and precarious to be thrown off by the proclamation of knowing someone who rescued him. She mentally laughs at her ridiculousness and sends a thankful thought towards the soul kind enough to greet Nevermore upon his arrival to those desolate wastes. His description of the conditions there sends worry for his health coursing through her and amethyst eyes scan him yet again for any signs of malnourishment or illness. ”It sounds terrible, Nevermore. I cannot imagine surviving such an awful place.” Her attention is pulled from him at the gentle tug to guide them towards a waterfall. The frown leaves her lips at the sight of it despite the upheaval from the recent disaster. It is a truly magnificent sight and she is pleased that he thought to share it with her during their reunion. He speaks once more and she laughs at his rapid questioning. ”I kept to myself, far too angry to risk seeing Caelian...though the desire to put that child in his place nearly became overwhelming.” She looks to the taller man with a smile that is a mix of playful and vengeful with a promise of retribution should the former king make an appearance again. ”There was an avalanche, it was truly horrific to witness, but I am fine.” Truthfully, she bears bruising and mild scrapes on her neck from being tossed against a tree, but her mane conceals it and she thinks it not worth mentioning after hearing of his ordeal. Her eyes widen upon seeing his hideaway and she stands silent in the doorway while he strolls into the room to recline on furs. He beckons her over and a flash of uncertainty dances across her face only to be dismissed when she meets his gaze, finding a sliver of her typical confidence. ”This is incredible.” She breathes the words out as she walks toward him. With one more glance about the room, she carefully lowers herself down to face him. ”Are you sure you don’t mind?” Her feet surely must be covered in grime and muck from their trek here and she could never afford to replace anything she damages. Without waiting for a response, she shifts to begin rising, ”Perhaps I should rinse off at the falls” Her tone is nervous, displaying a hint of anxiety about ruining his finery. A small fanged smile graced the phantom's otherworldly features as he listened to the chestnut mare answer his long stream of questions. While he found it saddening that she kept herself distance from the majority of others during his exile, he also found her fierce protective nature over him to be personally adorable and quite charming. Is that so? Perhaps thou shalt become my personal bodyguard? I would never fret for my own life ever again. Nevermore jested, teasing her lightly, though his tone held copious amounts of appreciation. However the soft chuckle leaving his fanged maw vanished as she explained the event of the avalanche. Shifting upon his bed of furs the specter felt his brow pull together as he nodded his ebony head once with understanding. He knew that the natural disaster was capable of chaos and disarray, but he did not expect them to cause damage of such magnitude displayed across all of ambrosius. The entire house was hardly recognizable from the skies. I believe it. Thou art a strong woman. The words slipped from him as she crossed the distance between them to lay down. She voiced her own concern of ruining his gifts and her modest nature creates another small albeit genuine smile upon his face. Perhaps, if it had been anyone else...I wouldn't have extended the offer. But for you? I would not mind at all. The ancient being shifts to rise as well, continuing to stand before her as he shuffles his wings back into place. However, if it shall ease your conscious, I can show you a nice place to bathe. I am actually long overdue for one myself. Glowing lavender eyes remove its focus from Èibhlin's visage toward the falls that lie beyond. The razors of his talons click audibly upon the natural stone flooring as he lead them back down the slope and into a more secluded area away from any prying eyes. Hesitantly he stepped into the icy water of the fresh water spring feeling a frigid chill rake across his spine. While the temperature was not exactly ideal Nevermore was more that relieved to have a chance to physically scrub the events of his exile from his starry pelt. Cupping a handful of water in his avian like appendages he set to work ridding his once silky locks of sand and grit. A single ear turned behind him, hearing the soft splashing that would signal Èibhlin's own entrance into the pool. Ever the gentleman, the beast kept his eyes to himself, daring not to peak over his shoulder and placed his back to her out of pure respect. But as he allowed his mind to dwell on the concept of respect his thoughts were propelled to the tender kiss they shared not long ago. A burning flame of heat settled within the realm of his face and ears as he reminisced on his bold and brazen display. He could hardly put the feeling into words and yet he wondered how Èibhlin felt on the matter. Was she truly okay with what he had done? Was that the reason why she seemed to be slightly cautious around him? The creature swayed on his limbs, shifting his weight as he debated within himself before finally deciding what to do. After steeling his nerves a quiet puff of lavender brume exited his nares in the form of a sigh. Èibhlin... Nevermore spoke in a ghost of a whisper. The bulk of his head tilted as if to glance over his broad shoulder, yet his amathyst gaze remained firmly fixated on the waters undulating surface. I wish...apologize for my actions earlier. In the heat of the moment, I knowest not what I was thinking. But. I would like to humbly ask that you forgive me if I made you uncomfortable. For it was not thine intention. His heart hammered within his chest as he awaited her response. Surely she would not have followed him all the way out here if she felt some kind of way. Or was she merely doing it to save face? His sweet words warm her from the inside out, a pleased glow emanating from around her heart. She smiles softly at the raven-man in gratitude and affection and quickly nods in acceptance of his platitude. ”Yes, please lead the way.” She steps back to give him room to freely direct their path and silently disagrees with his opinion on needing his own cleansing. Amethyst eyes sweep across his winged form, displeased by the remnants of poor treatment, but still enthralled by the uniquely handsome design of him. Where others may find the clacking beat of talons to stone cause for concern, she finds it soothing, a reminder that he is capable of defending those he cares for. It circles her thoughts back to the surprising attachment she feels for him and the kiss they shared earlier. Did it mean anything to him? Perhaps he meant to kiss my cheek? With downcast eyes, she wrangles fanciful thoughts and mutely follows her companion; a difficult task when she hears a splash of water and spies him entering the chilled pool. Tempestuous heart begins frantically pounding against its ivory cage as she watches the way his wings scoop the sparkling liquid to cleanse himself. She stares, transfixed, until years of manners finally break through to scream at her and she drops her gaze. Aided by her telekinesis, she easily slides the amethyst encrusted silver to the ground, leaving only her head piece; the only part she will never remove out of honor and respect to the man who gifted it to her. Knowing better than to slowly wade in, she splashes her way to a deeper section on a light squeal. The water gently laps against her underside and she sighs in relief the moment her body adjusts to the temperature. She hears her name leave a fanged mouth, the cadence of his accented voice has her lips curving into a contented smile and she turns to look in his general direction. To her horror, he appears to be apologizing for kissing her. Eibhlin scowls at the raven-man before using her magic to splash his face with a few flecks of water. ”You want to apologize to me, you look me in the eyes and tell me you regret it.” She dares him with anger and so much hurt in her voice, her accent growing thicker as her throat tightens. Tears pool in plum eyes but she refuses to look away, ”I certainly do not regret it.” She takes a small step toward him, beginning to wonder if the only way she will ever feel the gentle press of his lips to hers again is in her dreams. Her voice is softer now, barely audible, as she channels the bravery that had her defending him in the Bifrost from the giant spider, ”I wish you would do it again.” She does turn her gaze at the conclusion of her whispered desire and gazes at the water in front of her while blinking back tears. Quietly he awaited judgement, waiting for some semblance of rejection that surprisingly never came. Instead the towering raven man was met with the chill of winter's water to the side of his onyx visage. Blinking once then twice, he was even more so shocked to see that she was rather upset that he happened to be apologizing for what occurred earlier. The amount of anger and sorrow that ebbed off of her in waves was enough to make his chest tighten with a sense of guilt. The length of his eldritch ears flattened against the realm of his head. He never meant to hurt her, could never fathom the thought of doing so, but now he felt sickeningly responsible. Slowly he turned around to face her, the storm of emotion swirling within him even more turbulent now that she had expressed her desires. He witnessed salty tears beginning to collect within the corners of amethyst eyes and felt the shell of his ancient heart crack just a little more. She steps towards him and he swallows a thick lump he hardly realized forming within his throat. His own limbs begin to move apparently upon their own volition creating small ripples in the pool they both stood within. His voice is but a soft whisper. Never. How could I possibly regret such a moment? 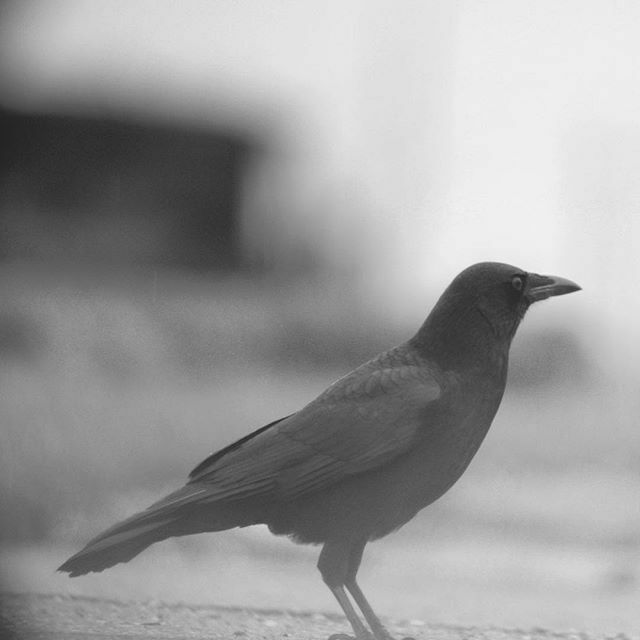 The undeniable pull she held over him edged the raven closer, coaxing him further as his mind became hazy with unbridled emotion and something more primal. The haunting image of lavender eyes lay at half mast as he closed the space between them, circling around so that he stood just behind her shoulder. Dragostea mea, you only need to ask and I shall obey... The romanian stallion murmured in hushed tones. Just like before, Nevermore outstretched his nape to indulge in the gentle press of her lips to his. Every nerve ending alight and firing over something that appeared to be so subtle. One turned to several, pecked along and trailing up from chestnut cheek down the length of her shoulder. With nostrils flared he drank in the scent of her sweet perfume, feeling the tug of a delicate grin grace his chiseled features. This was a dangerous dance and a fine line he happened to be walking, yet somehow he felt at ease knowing that Eibhlin was okay with it all as wordless desires were passed along. Running his muzzle down the length of her spine he prepared himself before leaning in.